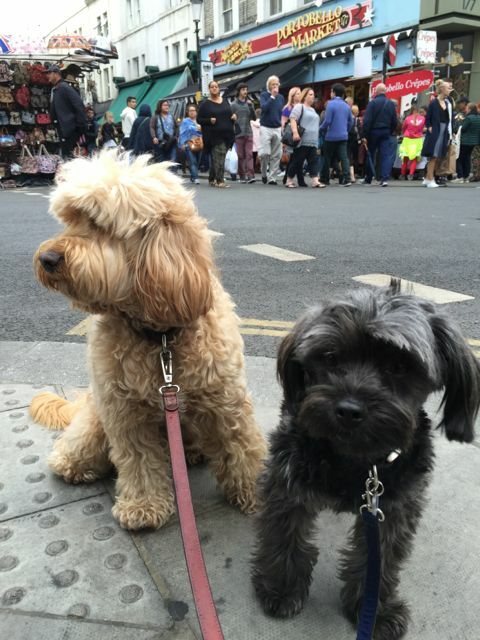 We were up by Notting Hill and close to Portobello market but it’s too busy for us pooches to walk around. 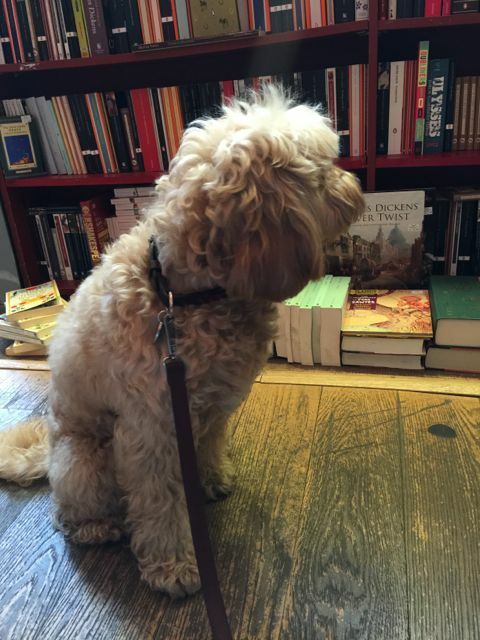 Instead we popped into our favourite Notting Hill shops. First stop at Biscuiteers to buy a pressie for “someone” – can’t let the someone know yet that they are getting a pressie. 🙂 And Mummy bought us some treats too! 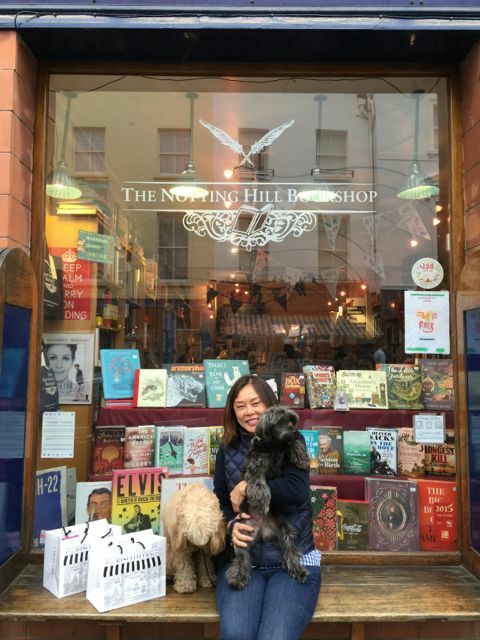 We walked around the corner to The Notting Hill Bookshop. As it was a Saturday, there were too many people in there so we didn’t get to browse. 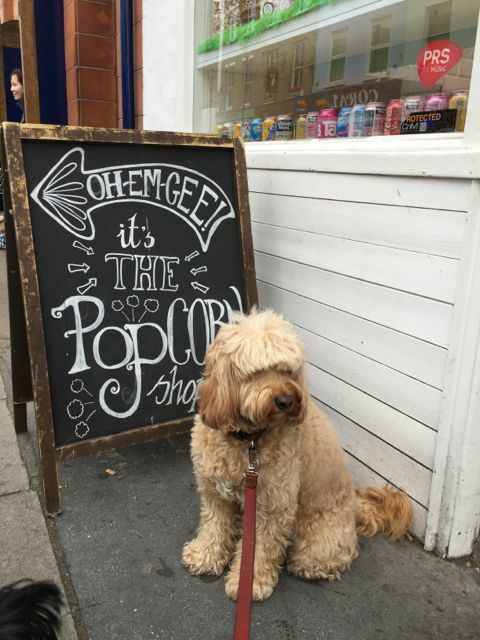 Next door to it is The Popcorn Shop! Lots of things I’d like to eat if I can get to them – too well packaged. So like Georgie to be into more edgy stuff. 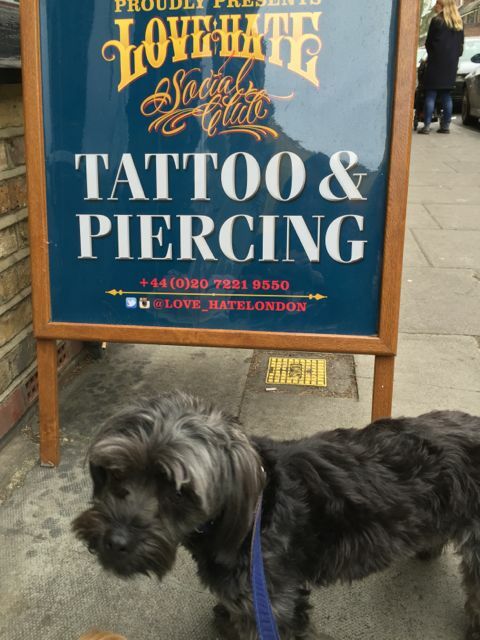 Where are we tattooing, furry Georgie? On your belly? And what are we tattooing? 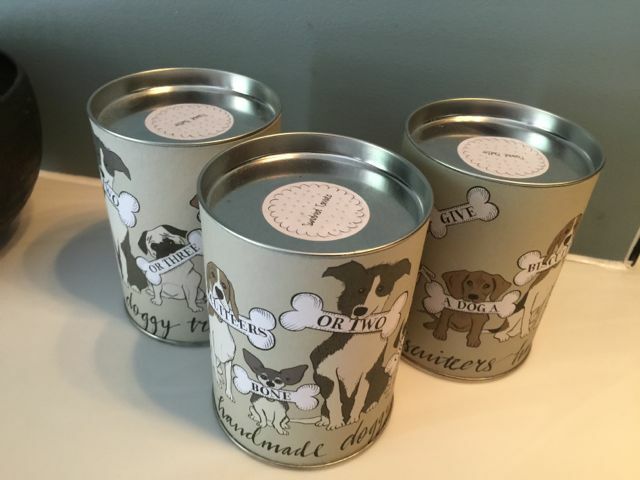 I LOVE MUMMY? 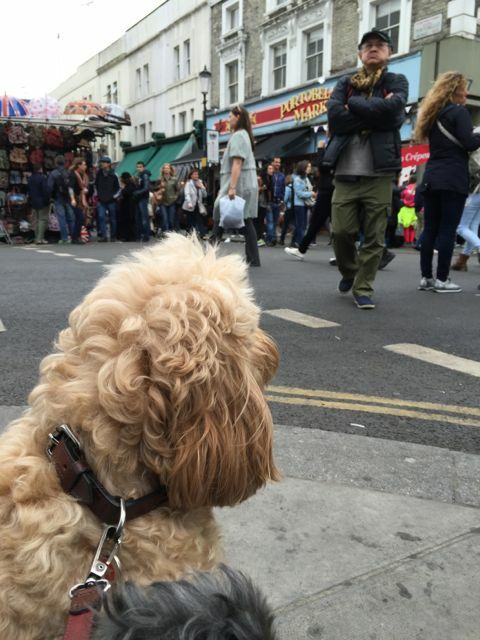 We walked on a bit further closer to Portobello Market. Oh dear, that man doesn’t seem pleased we’re here! Let’s get out of here, Georgie! 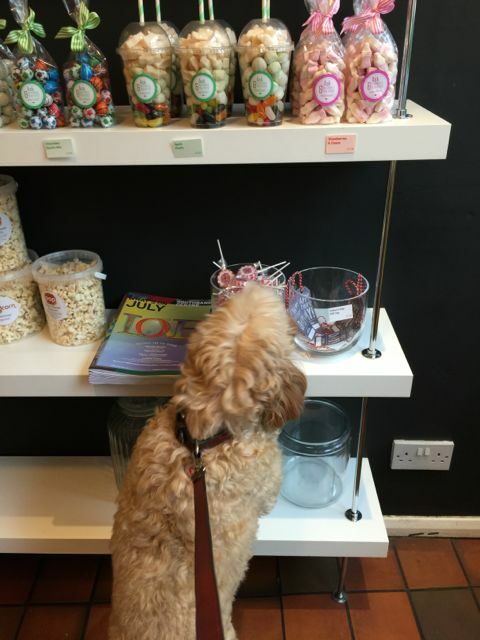 So we headed off in search for some dog friendly restaurants – and found two on Kensington Park Road. 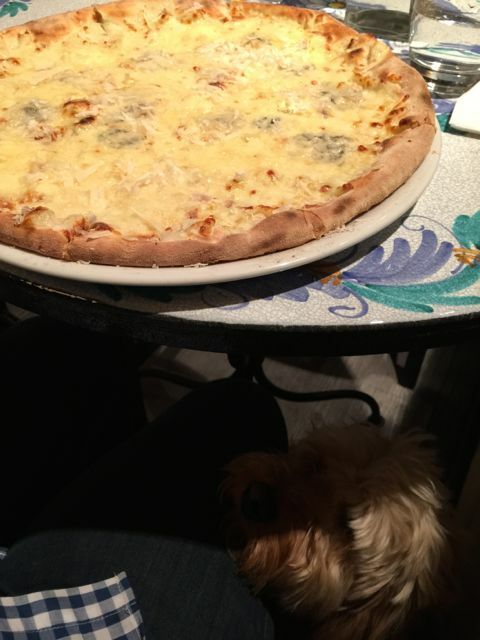 Numero 28, a pizzeria We sat inside – and Mummy had a really large pizza. Surely she could not finish that all by herself!!!! And next door at Piccola Cucina – if we wanted to eat in there, we have to ask for table 15 – which is the table by the door. OK – will take note for next time. 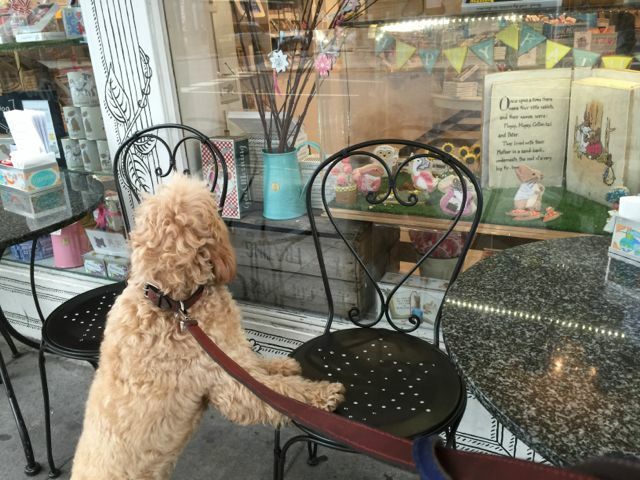 May’s comment: One of my favourite restaurants across the road Osteria Basilico unfortunately does not allow dogs inside but they do have outside seating. Well, we at least have found two that we can go to near the Portobello Market. 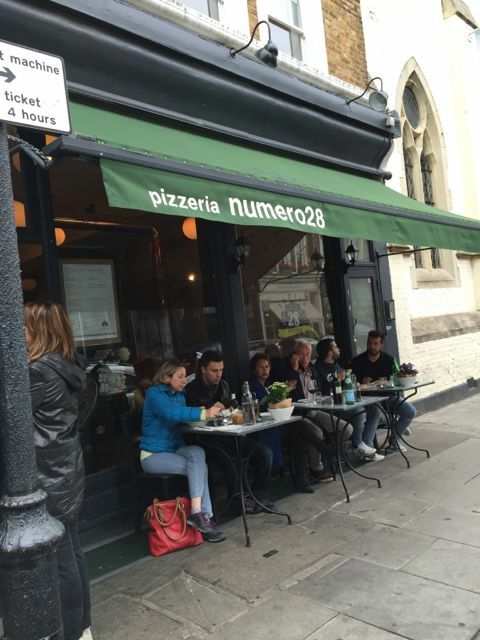 Numero 28 – 184 Kensington Park Road – can be seated inside and there’s also outside seating. Good pizzeria. 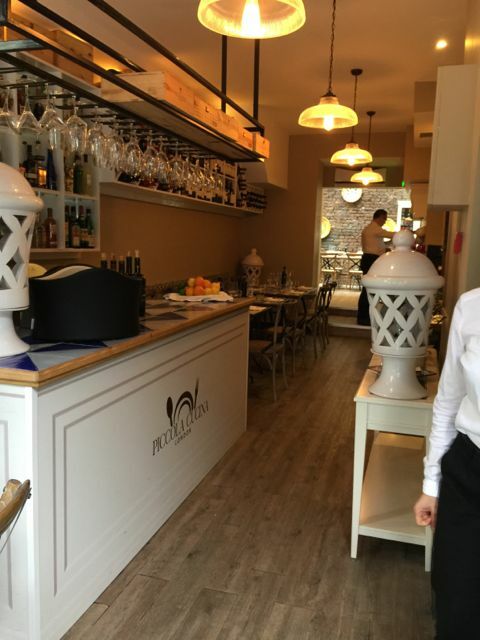 Piccola Cucina – 186 Kensington Park Road – one table inside but there’s also outside seating. More Mediterranean. There are a few pubs, but we prefer to go to restaurants whenever possible. Thanks for including me in your trip to Nottingham Hill and Portabello Road!